Everyone likes a new ship with new features and that new ship smell. This year there has been no lack of new ships too, with most major cruise lines launching their best ships ever. It’s been a few years since Holland America Line rolled out a new ship but the wait seems to be worth it. New ms Koningsdam has her own set of features, some new, some expanded versions of time-tested Holland America favorites. 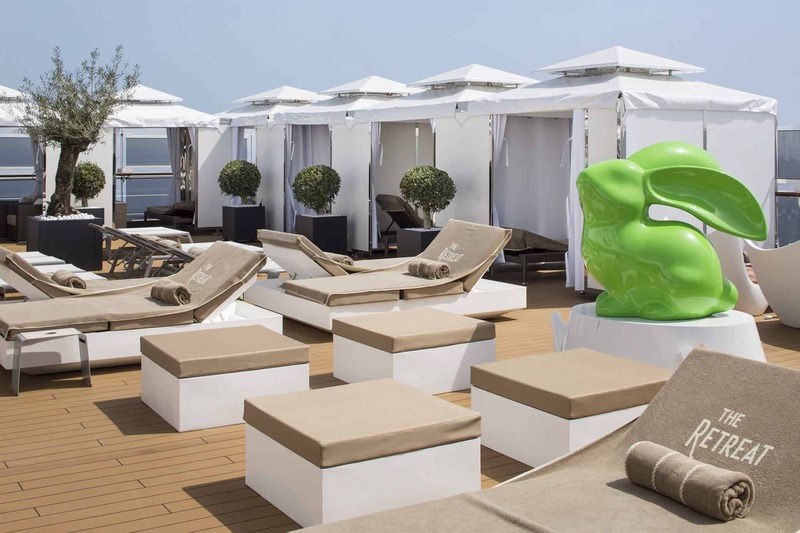 It’s a nice blend of thoughtful spaces, culinary venues and well-appointed staterooms we’re quite impressed with. Let’s take a look at why Koningsdam features will make for good sailing, anywhere in the world. 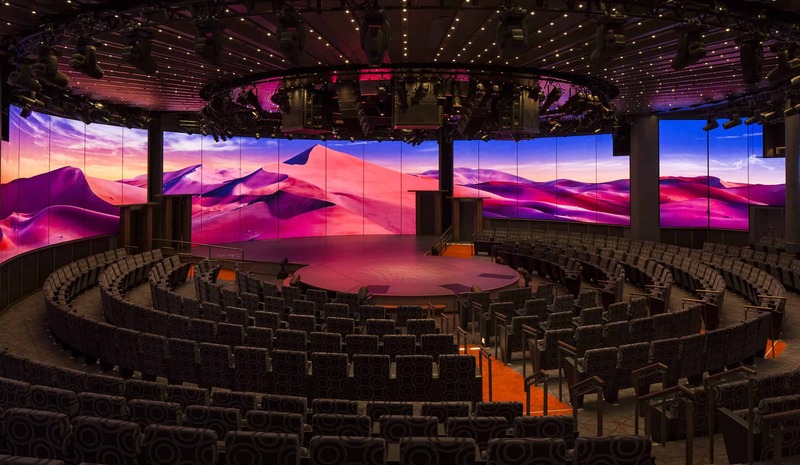 The world stage, in reality, turned out to be a much better space than I thought possible based on renderings released by Holland America in advance of the launch of Koningsdam. The notion of a 270 degree LED screen was interesting in paper but quite exciting in person. There is a lot that can be done with this space. Wired and lit for anything from a solo artist to a rock concert it’s not too big and has plenty of good stadium style seating. 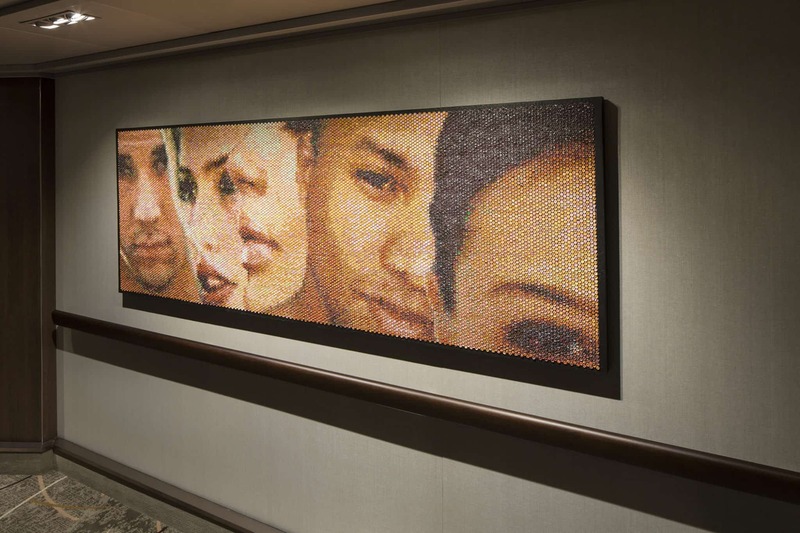 In probably one of the biggest departures from the past, hallway art on new ms Koningsdam is far more contemporary and features works from a variety of artists. 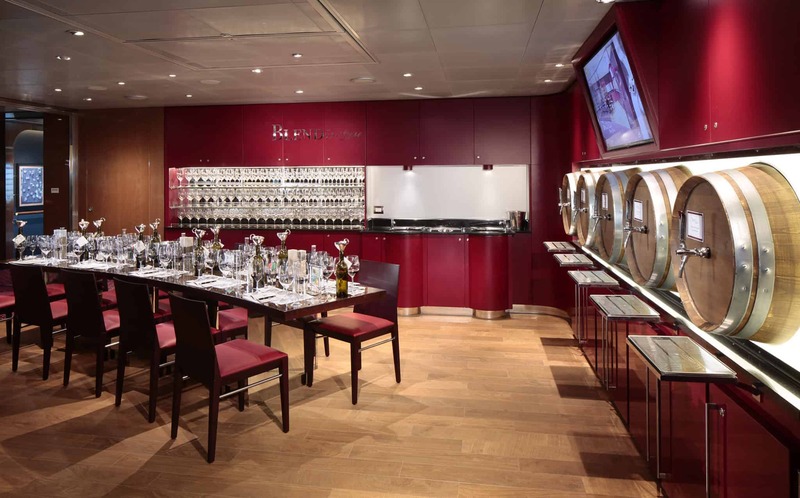 Wine lovers can experience the art of winemaking at BLEND aboard ms Koningsdam. In collaboration with Chateau Ste. Michelle, Washington State’s oldest and most acclaimed winery, the intimate venue will enable guests to blend their own wine and enjoy it at dinner or in the privacy of their stateroom. 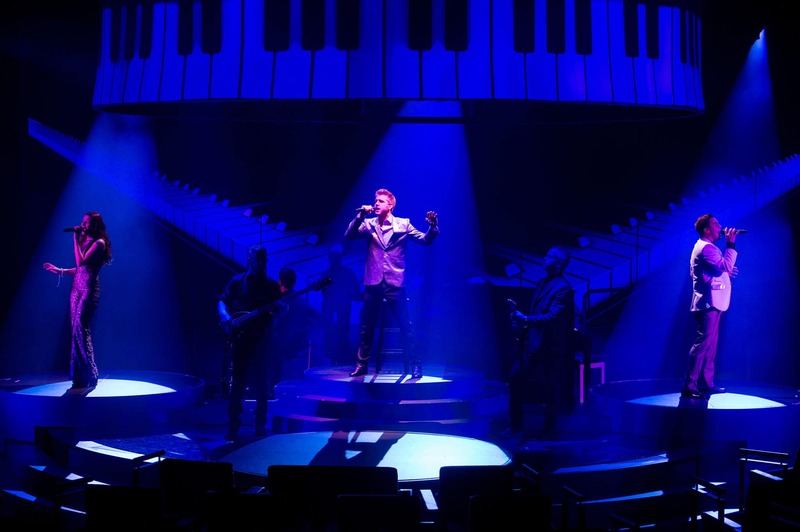 This venue is a first for Holland America Line and one we bet they roll out to other ships in the future. Have you done a wine blending? It’s quite a lot of fun and highly recommended. 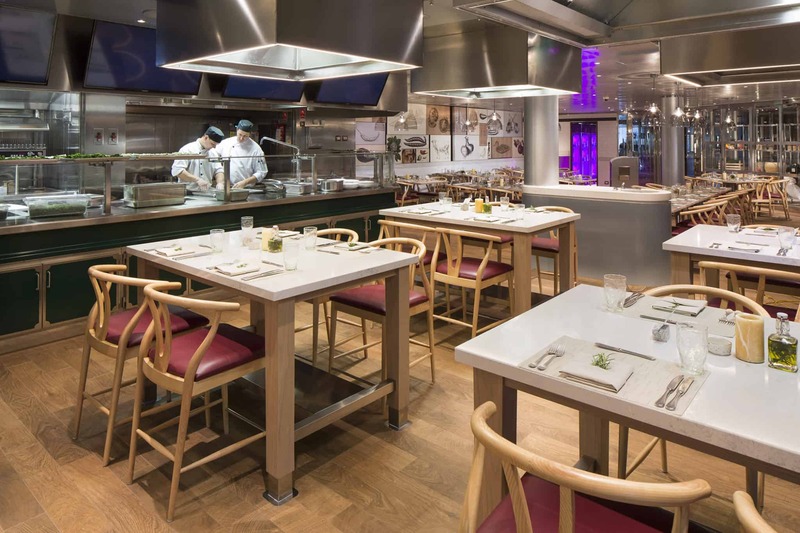 The Culinary Arts Center has been a Holland America Line fan favorite for quite some time. Guests gather at various times of the day for cooking demonstrations, wine tastings and more. 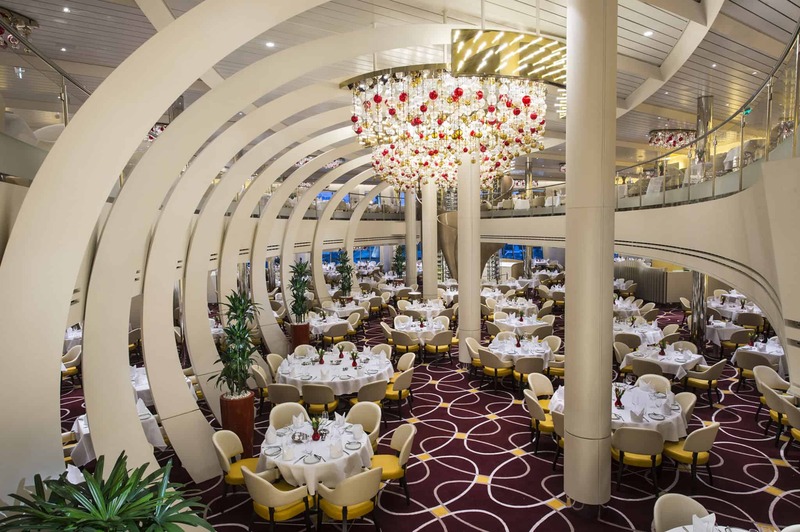 Taking that venue a step further, ms Koningsdam guests can have dinner there as well with a reconfigured layout complete with dining areas within view of the action. 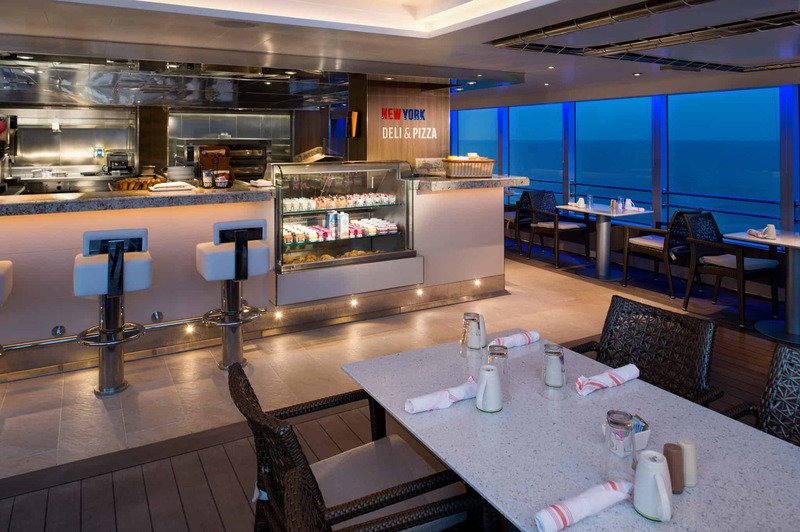 One of numerous included dining options, the New York Deli & Pizza is a popular place for lunch on Koningsdam. 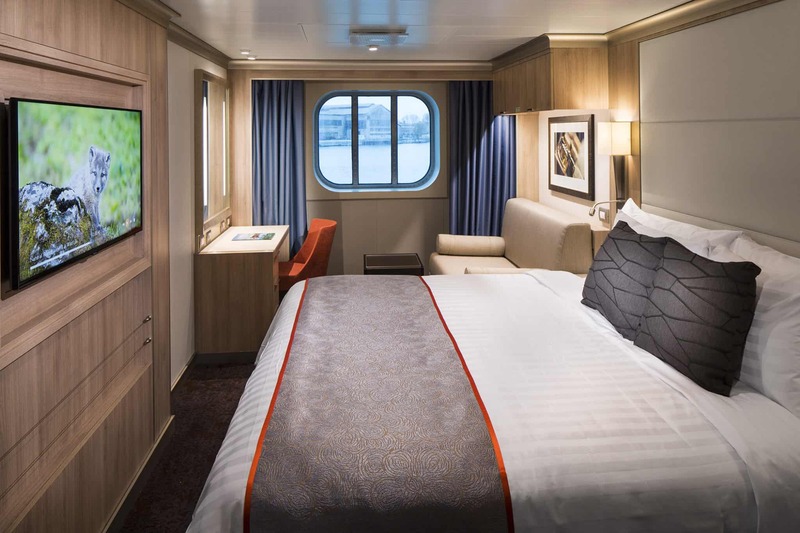 Typical of all standard staterooms, each comes wired with multiple USB ports, plenty of electric outlets, inventive storage space, roomy shower and more. In staterooms with balconies, even the smallest are double the depth of some other major cruise lines. A serene area high up on the ship, this is about as relaxed as it gets. On other ships with similar facilities, they are located comparatively close to noisy, high traffic areas. This is an oasis in and of itself. The multi-level dining room has an interesting design with a surprising result. Tables are spaced far enough apart to encourage candid conversation without being overheard by others. Taking a wide look at the space, it is easy to see where design elements have broken up what might have been a typically cavernous dining space, bringing a more intimate setting. In a nod to their pleasure with ms Koningsdam, Holland America Line just announced the start of construction for sister ship ms Nieuw Statendam, due in 2018. Stick around, we’re going to compare the expectation set by Holland America Line for new ms Koningsdam to reality as we sail the ship.